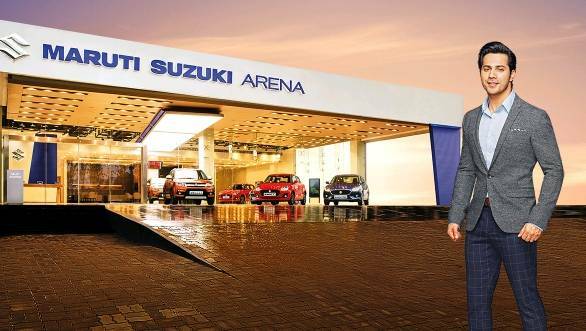 Maruti Suzuki is setting the bar high in terms of catering to new-age customers with the car-buying experience at its new Maruti Suzuki ARENA showrooms. The brand thinks of each showroom as a youthful and modern destination that provides a trendy, social and connected car buying experience. Thoughtfully designed spaces, latest technology, interactive screens, warm and friendly relationship managers, to give customers a dynamic showroom experience. According to Maruti Suzuki, nearly 75% car buyers in India research online before they decide on a purchase. Maruti Suzuki ARENA realised this and has integrated this insight to bring the best of technology and digitisation, to give each customer a seamless experience from digital to on-ground. Customers can explore the entire product portfolio, through interactive touch screens at the showroom. A dedicated Personalization Zone with car configurators will enable customers to electronically personalize cars by a mix and match of various accessories available. The staff present at the showrooms are warm and friendly and well equipped with product knowledge to have answers for all customer queries. Register here and step into the unique world of Maruti Suzuki ARENA for a seamless car buying experience. The café is designed to help Maruti Suzuki ARENA understand you better. Freshly brewed coffee lets you sit back and take a moment before you choose your favourite car. The interactive touch screens at the showroom will give you all the relevant information so you may decide on the car of your choice at your own pace. This exclusive area in the showroom lets you customise your car according to your preference. Choose the perfect car accessories to personalise your car according to your style. Sit back and relax at the Owner's Lounge while you await your car's delivery. You can also use this time to find out more about all the services provided by Maruti Suzuki ARENA.